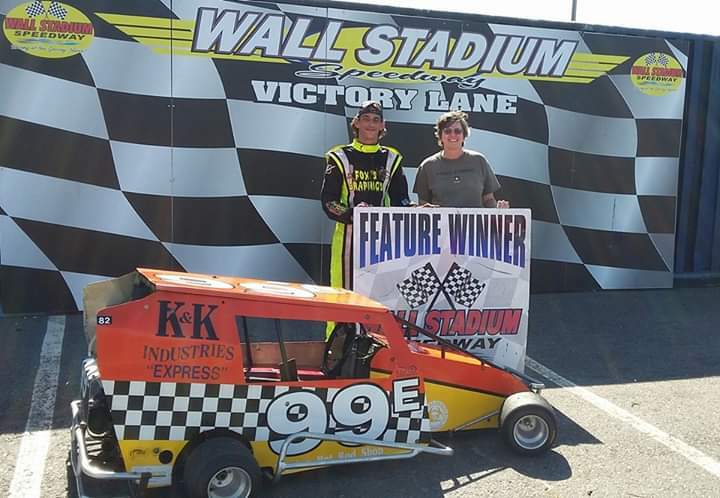 Tom Ervin showing off his #99 Microstock at Wall Stadium. Mike Fox Jr started winning for Ervin Racing in 2017 behind the wheel of the 99E. Sponsors: Trenton Hot Rod Shop, K&K Industries, A. Puntasecca Contractors Inc.